with code-free Drag & Drop strategy. CryptoTheorem accepts no responsibility for any losses that may result from the use of these indicators, which are only provided for information purposes. Information on this website should not be construed as investment advice or an offer to sell, or the solicitation of offers to buy, any security. It is the responsibility of any person or persons in possession of this material to inform themselves of and to observe all applicable laws and regulations of any relevant jurisdiction. US visitors are specifically advised against using our site. Past performance is not a guide to future performance. 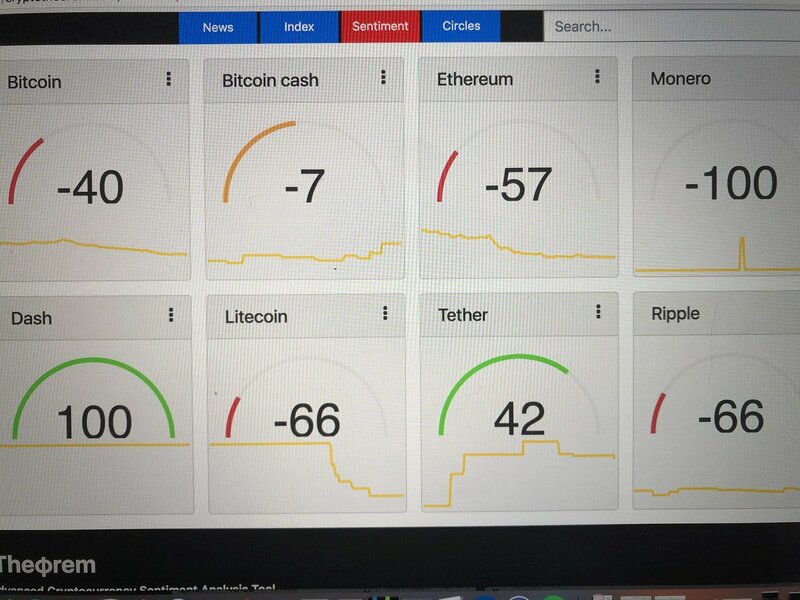 AI methods to keep track of sentiment and price impact for various events, assets, organizations. 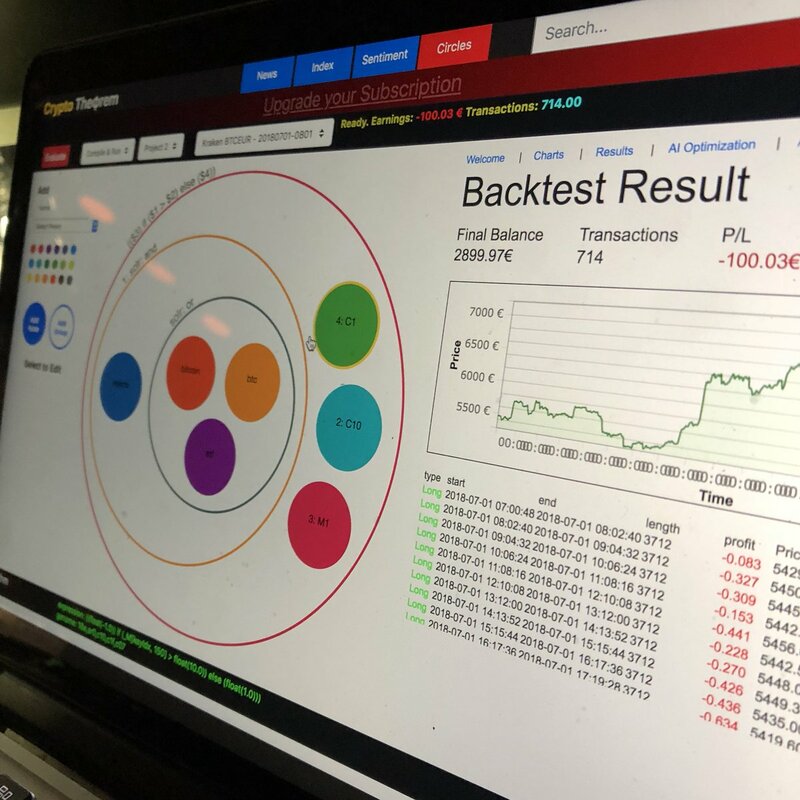 Learn about our AI optimization and Algorithmic Trading system. No AI engineers or PhDs required. Choose from our indicators, ranging from traditional technical analysis to sentiment analysis based on social media listening. Combine any of the text or quantitative models together with One click. Create new trading signals from news events. Monetize your winning strategy as CryptoTheorem partner. Buy pre-made strategies from pre-screened traders. View Performance Reports and reviews and buy only the Best Strategies to match your trading objectives. Use our AI with sentiment indexes to find the best trading opportunities and create your own strategy. Execute on Exchange or Paper Trade your stategy. The Marketplace is your one-stop-shop for signals, templates and strategies. * Integration through API access token (Read Guide). Crypto Theφrem is the leading big data analytics provider for financial services. Our clients include the most successful hedge funds and traders in the world.